From reports of haunted castles, stately halls, hotels, public houses, Roman forts, stone circles and even England's deepest lake, to heart-stopping accounts of apparitions, poltergeists and related supernatural phenomena, Ghostly Cumbria investigates twenty of the most haunted locations to be found in the area today. Drawing on historical and contemporary sources, this selection includes a phantom friar said to walk the lanes near Grey Friars Lodge Hotel in Clappersgate; the ghost of Mary, Queen of Scots at Carlisle Castle; a cavalier at Moresby Hall in Whitehaven; and several ghosts at the Kirkstone Pass Inn at Ambleside, including a young boy killed by a coach outside the building, a young woman who died whilst travelling along the road during a snow storm, and a seventeenth-century coachman who lurks around the bar. 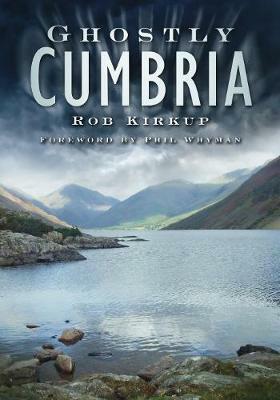 Illustrated with sixty photographs, together with access details for each location, this book will appeal to all those interested in finding out more about Cumbria's haunted heritage.